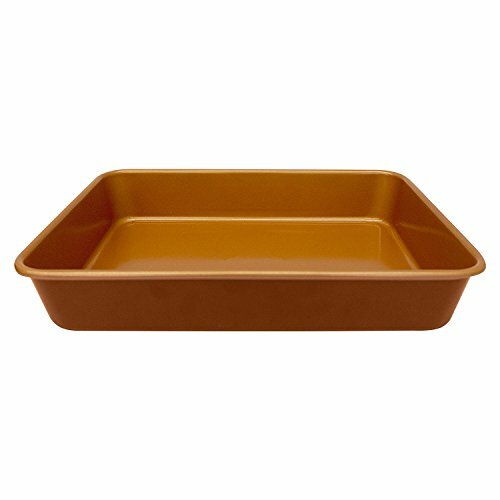 Gotham Steel large baking pan perfect sheet cakes in this generous pan, while it's equally efficient to roast veggies and bake lasagna, too! no need to grease the pan, thanks to the unique titanium-and-ceramic non-stick finish that's safe for use with metal utensils. Simply pop in the dishwasher to clean.